With one week left in the month of October, there’s still time to show your support during Breast Cancer Awareness Month. As a personal fan of beauty goodies, it should come as no surprise that we are always thrilled about the brands that create special products to support the cause. Whether you’re on the hunt for a new nail polish color, a great set of makeup brushes or are in search of a fresh scent, you are totally covered in your search for beauty treats that support Breast Cancer Awareness Month. Below please find 7 beauty goodies worth purchasing before October 31st. 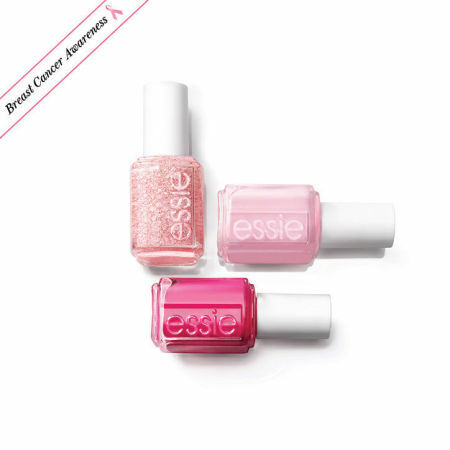 The Essie Breast Cancer Awareness 2014 Collection includes polishes with such glam names as Pinking About You, I Pink I Can, and Pink Happy. These are available for $8.50 each on nordstrom.com. The classic Marc Jacobs Honey fragrance has been updated to include a limited-edition vibrant and fresh light pink color palette. With bursts of orange blossom and juicy mandarin this is the perfect fall fragrance. 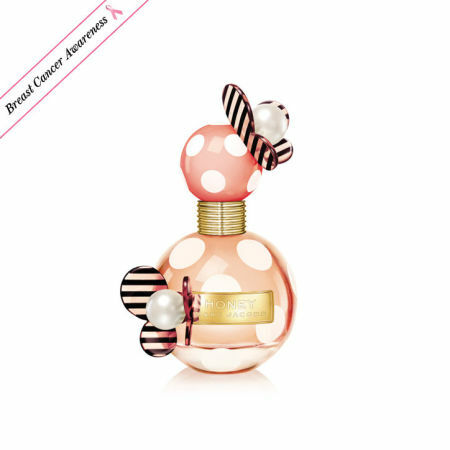 And get this, $3 per bottle sold will be donated to the National Breast Cancer Foundation. As a lover of Sonia Kashuk’s makeup brushes, I was excited to find out about her limited edition five-piece brush set. As Sonia Kashuk is a breast cancer survivor herself, she knows all too well the importance of breast canceer awareness efforts. 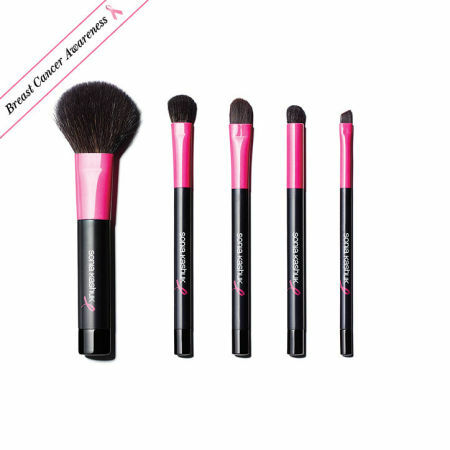 Fifteen percent of the purchase price of this sleek brush set will benefit the Breast Cancer Research Foundation. The Sonia Kashuk Proudly Pink Five-Piece Purse Brush Set, $15.99, target.com. Who doesn’t need another great pink lip gloss? The makeup brand favorite will donate $12 from the purchase price of the lip gloss set to the Breast Cancer Research Foundation. 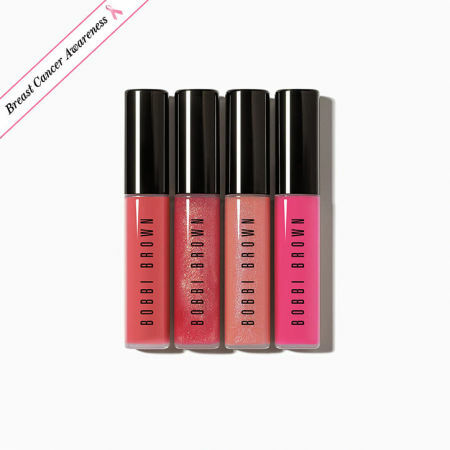 Bobbi Brown Pretty Pink Ribbon Lip Gloss Collection, $60, bobbibrown.com. As a lover of the Sephora brand, it should come as no surprise that we fell in love with this pink face palette. Beating your face with dashes of pink just got easier with these colors. Sephora is donating $2 from the sale of each compact, with a minimum donation of $10,000, to the Breast Cancer Research Foundation. Sephora Collection the Beauty of Giving Back Face Palette, $34, sephora.com. I swear by Aveda products for my facial routine. (More on that in a later post!) So of course the fact that the brand will be donating $4 of every sale of its limited edition hand relief moisturizing crème excites me. 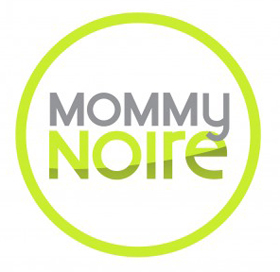 This super hydrating cream is perfect for the mommy who craves constant moisture after touching even a speck of water. 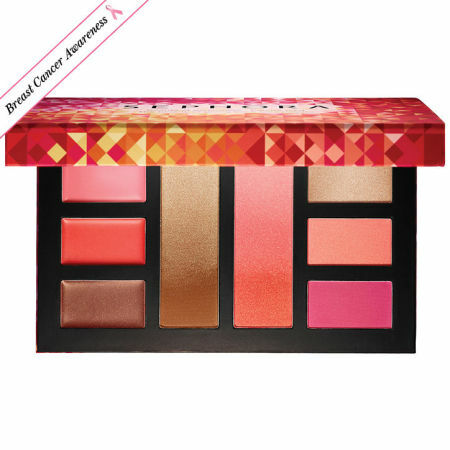 Proceeds will support cruelty-free research through the National Breast Cancer Foundation. 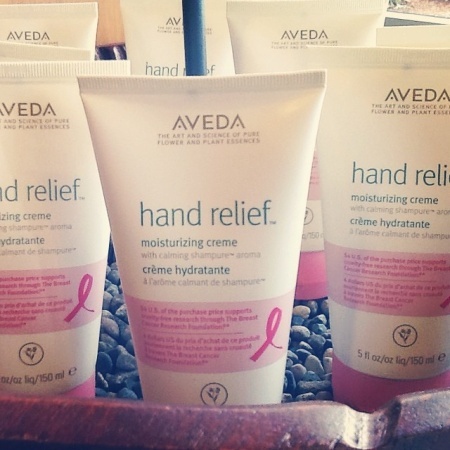 Visit AVEDA.COM to make the purchase. I can admit, I love Palmer’s Cocoa Butter. Not only are their products great for that post-shower moisturizer, but I’ve also heard great reviews of their stretch mark lotion. 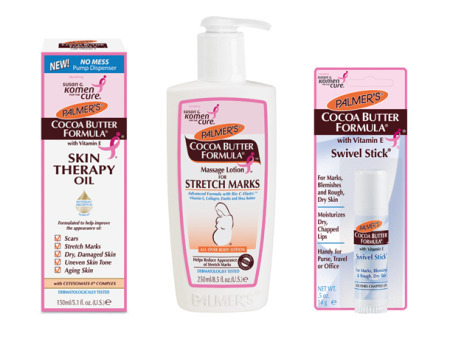 The brand has gone “pink” once again for National Breast Cancer Awareness month: donating 15 percent of the sales price (with a minimum donation of $100,000) from specially-marked bottles of its core Cocoa Butter Formula products to Susan G. Komen® through June 2015. So glams, there you have it! 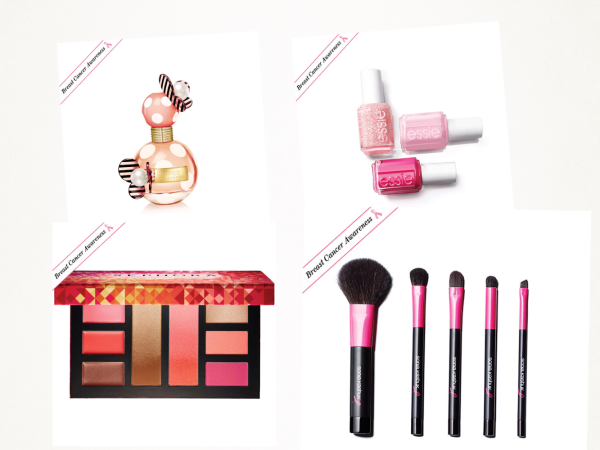 7 of our picks of beauty products that support Breast Cancer Awareness Month. We want to hear from you. Which beauty products are you purchasing before the month wraps?